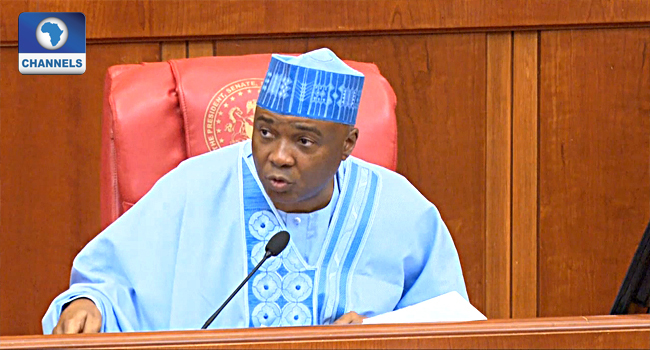 Senate President Bukola Saraki has dumped the ruling All Progressives Congress (APC). Saraki announced his defection in a tweet on his official handle @bukolasaraki, noting that his decision follows extensive consultations. Although the Senate President is yet to announce the political party where he will be pitching his tent, he is currently in Kwara State, in a closed-door meeting with the State Governor Abdulfatah Ahmed. The meeting is holding at Saraki’s residence in Ilorin, Kwara State capital. Members of the National, State Assembly, Commissioners and 10 representatives from 16 Kwara local governments are said to be in attendance. Saraki’s defection from the APC comes a week after the defection of many members of the Senate and House of Representatives from the ruling APC. The move also comes less than 24 hours after the National Working Committee (NWC) of the APC dissolved the State Executive Committee of the party in Kwara State. The dissolution according to a resolution signed by the APC National Chairman, Adams Oshiomhole, was after the actions of some of the leaders of the party who participated in an open rally calling on the Senate President to decamp to the PDP.